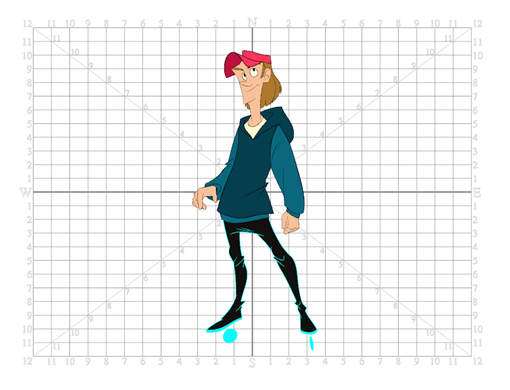 Harmony is equipped with a traditional animation grid. You can use it as a reference while drawing to fit a given layout field chart, align elements, or simply see the center of your drawing. You can draw beyond the grid boundaries as it is only a visual reference. In the Camera view, the Grid is visible when you select a drawing tool.